Discussion in 'Buckeye Football' started by LordJeffBuck, Jan 7, 2019. Btw i want one of those shirts. buckeyeintn, brodybuck21 and mendensa like this. I want to run through a brick wall for this guy. I think he's gonna be OK on the recruiting trail. pianobuck46, brodybuck21, LovelandBuckeye and 2 others like this. You never want to read too much into a press conference but he was very impressive in his today. Seemed like a future head coach. Now let's see if he can get his secondary to not run in the opposite direction of run plays. brodybuck21, OregonBuckeye and TooTallMenardo like this. Love the guy so far. He isn't blaming players, he is talking about how special they are. I like it. brodybuck21, kujirakira and TooTallMenardo like this. This guy has head coach written ALL OVER him! mendensa, ShowMeBuck, brodybuck21 and 1 other person like this. Damnit Thump, we just got him! ShowMeBuck, RugbyBuck, pianobuck46 and 4 others like this. I think the whole staff is great, but Hafley stands out to me. When he talked about getting chills at the first mat workouts, I'll have to admit that I got them myself for a few minutes. All I could think was, "Wow, here we go." A bit premature, perhaps, but the whole thing is very exciting. Hstead, Lurker11 and ShowMeBuck like this. When Jeff Hafley left his first press conference as Ohio State co-defensive coordinator and secondary coach, he left with a bang. Hafley was asked if he will want his corners to turn around to look for the ball, an issue seen by Buckeyes’ cornerbacks on multiple big plays throughout the past season. Instead of brushing off the question, Hafley attacked it with an energy unseen in any other coach who spoke on National Signing Day. 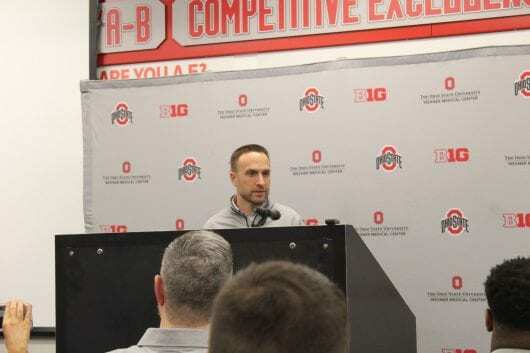 After being an Ohio State coach for less than a month, Hafley promised to “practice to teach,” work on getting players to turn and look in the right situations and have the media members come to practices and see for themselves. In 14 minutes, Hafley provided an energy with his answers that could be needed for an Ohio State secondary that allowed the 44th-most passing yards a season ago. Head coach Ryan Day knows this. For him, Hafley was a hire that needed to be made for his coaching staff consisting of five new faces — Hafley, co-defensive coordinator Greg Mattison, linebackers coach Al Washington, special teams coordinator Matt Barnes and passing game coordinator Mike Yurcich. Hafley brings NFL experience from the past seven years, including three years with the San Francisco 49ers, when their pass defense finished as high as No. 11 in 2017. He returns to college from his time at the professional level with the same game plan: play the players that deserve the time. Bestbuck36, brodybuck21 and lvbuckeye like this. Looks like we got a good one. Call me impressed. Think he'll have no issues relating with and recruiting 17 and 18 year old young men to OSU. The tradition of DB U is safe. buckeyboy, Hstead, brodybuck21 and 1 other person like this. Like almost every newly hired coach does when giving his first public comments after taking a job, Ohio State co-defensive coordinator and secondary coach Jeff Hafley stood at a podium in the football meeting room of the Woody Hayes Athletic Center last week and declared playing time would be determined by a meritocracy. “For me, the best guys are going to play, and I mean that,” he said. Hafley said he started free agents over first-round draft picks during his time coaching in the NFL. It wasn’t a particularly novel concept, yet for many fans who felt the defensive staff got away from it last year, the comments felt refreshing. Brendon White didn’t start until injuries forced him to play, and he proved to be the safety the Buckeyes were missing. The revelation in the defensive backfield conjured up queries of whether other young players who hadn’t seen the field deserved the chance White wasn’t afforded until injuries forced Ohio State’s hand. Hafley’s claims of playing the best player aren’t meaningful unless they’re backed up, of course. But Tyvis Powell doesn’t believe that will be an issue. The former Ohio State safety, who played for Hafley with the San Francisco 49ers in 2017 and 2018, lived Hafley’s words. Lurker11 and brodybuck21 like this. Young guy with NFL chops who can actually help 4/5 star kids get there. Out of the park hire. kujirakira, The Nameless One, sparcboxbuck and 2 others like this. Why Was Ohio State Right For Jeff Hafley? New Ohio State co-defensive coordinator Jeff Hafley may have come from the NFL, but he spent the first 11 years of his coaching career in college football. He broke in to major college football at Pitt in 2006, remaining there until 2010 when head coach Dave Wannstedt was fired. He landed at Rutgers the following season as the secondary coach for Greg Schiano. After that 2011 season, Hafley went with Schiano to the NFL’s Tampa Bay Buccaneers. Hafley was with the Bucs for two years until Schiano was fired. He then ended up with the Browns for the next two years until head coach Mike Pettine was fired. The next year (2016) found him in San Francisco, once again as a secondary coach, for the beginning of the Chip Kelly era with the 49ers. 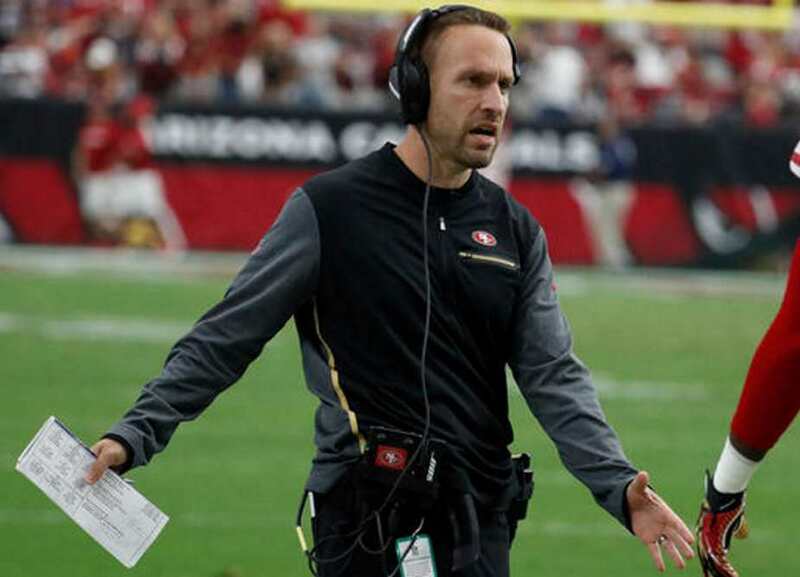 That era lasted just one season, but Hafley remained with the 49ers until about a month ago. Having seemingly found a home in the NFL — or at least a comfort level — why was now the right time to come back to the college game? And why was Ohio State the right program to come back to? While winning is important, it wasn’t the only part of Hafley’s decision. “You get to coordinate where you can win a lot of games with the right type of people, and that’s the culture here,” he said. “That’s where it’s different. I didn’t want to go to a place where the culture wasn’t right, where you weren’t around good people, and that’s what I talked to Ryan [Day] about, and I know Coach Meyer has done that, and I know Ryan will continue to do that. It’s the right type of player here. It’s the right type of head coach here, and it’s the right staff here. lvbuckeye and Bestbuck36 like this. Jeff turned down the Bengals opportunity to interview. I know we haven't seen one down of him coach at Ohio State but I really hope we don't let money stand between him and the NFL one day. brodybuck21 and Fungo Squiggly like this. TDunk, sparcboxbuck, bukIpower and 2 others like this.